WASHINGTON — Senator Elizabeth Warren is facing a new round of questions about her claims of Native American heritage, days after she apologized over the issue to representatives of the Cherokee Nation but chose not to immediately explain to the public what the apology was for. She has sought to clarify her apology by telling reporters it was for “harm” caused to Native Americans, and answered in the affirmative when a reporter asked if it was for identifying herself as Native American during parts of her academic career. The lingering questions about her claims — as well as a 1986 document published by The Washington Post on Tuesday in which she wrote that her race was “American Indian” — are an unwelcome distraction for her campaign days before she is expected to make her candidacy for president official. That announcement is widely expected this weekend in Massachusetts, and would launch a tour of six more states between New Hampshire and California. US Democratic Senator Elizabeth Warren is facing a backlash after revealing a DNA test, which she says validates her claims of Native American heritage. The Cherokee Nation slammed the results for showing trace amounts of native DNA. US President Donald Trump later took to Twitter to taunt Ms Warren. Many analysts speculate that Ms Warren, whose heritage Mr Trump has often mocked, is running for president. Ms Warren has not claimed to be a citizen of any US tribal nation. “Even they don’t want her,” Mr Trump said on Tuesday in response to the statement by the Cherokee Nation, the largest tribal nation in the US. “Thank you to the Cherokee Nation for revealing that Elizabeth Warren, sometimes referred to as Pocahontas, is a complete and total Fraud!” he wrote on Twitter, referencing the daughter of the 17th-Century indigenous chief. Cherokee Nation Secretary of State Chuck Hoskin Jr said in a statement on Monday that “a DNA test is useless to determine tribal citizenship”. 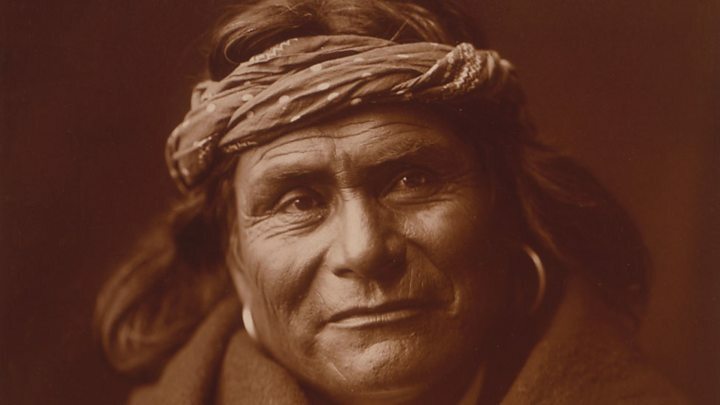 “Using a DNA test to lay claim to any connection to the Cherokee Nation or any tribal nation, even vaguely, is inappropriate and wrong,” Mr Hoskin said, adding that current tests do not differentiate between peoples from the North and South American continents. Mrs Warren later tweeted: “DNA & family history has nothing to do with tribal affiliation or citizenship, which is determined only – only – by Tribal Nations”. Elizabeth Warren’s efforts to put to rest the story of her native American ancestry is a case study in the difficulty of engaging Donald Trump on his terms. He challenged her to take a DNA test, which she did. While the results supported her account, they were by no means definitive. The president pounced, pointing to the lowest-end estimation of her native American DNA and labelling her a phony, calling her story a fraud and a scam. Complicating the matter for Ms Warren is that the tribal identity is a sensitive matter for native Americans. The Cherokee nation pushed back hard on the notion that anyone could claim membership based on a DNA test (even though Ms Warren had made no such attempt). Ms Warren also offered accounts from colleagues supporting her contention that she received no benefits or preference for her past claims, but the furore over the DNA debate buried those efforts. So rather than end the conversation, Ms Warren has effectively given her critics further ammunition to use against her. The president is sticking with his derisive “Pocahontas” nickname – and, if anything, he may more strongly believe this is a political weakness he can exploit. What did the test find? The Massachusetts progressive senator’s DNA report was conducted by geneticist Carlos Bustamante of Stanford. “The vast majority” of Ms Warren’s ancestry is European, it concludes, but “the results strongly support” a Native American ancestor. This puts Ms Warren as between 1/64 and 1/1,024 Native-American, according to the Boston Globe. In a campaign-style video revealing her DNA test results on Monday, Ms Warren says her critics attack her as an insult or “to distract from the kinds of changes I’m fighting for”. Analysts in Washington immediately regarded the video as evidence that she is considering a presidential run in 2020. How has Warren been taunted? Ms Warren has denied benefiting from her background since 2012, when it emerged that she was listed as a minority in a Harvard Law School directory. 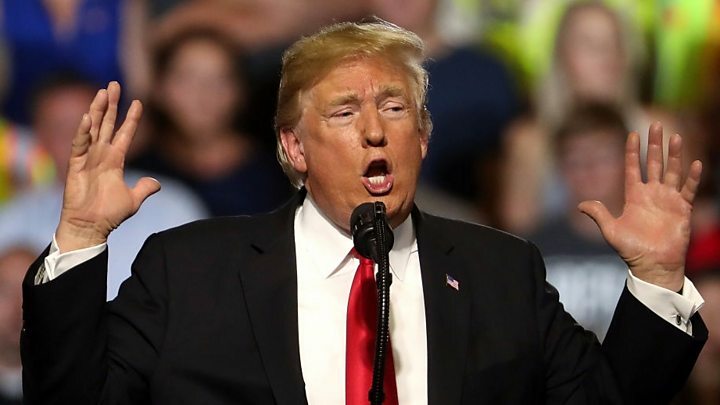 At a rally in July, the US president said he would give $1m (£761,000) to charity if Ms Warren would prove her claims of Native-American heritage. On Monday, Mr Trump was asked about the charity pledge and initially denied that he had ever made it. But later while touring hurricane damage in Florida, he said he would only give money “if I can test her personally”. “That will not be something I will enjoy,” he added. Mrs Warren later took to Twitter to call Mr Trump’s remark a “creepy physical threat”, and called for the donation to be made to the National Indigenous Women’s Resource Center. South Carolina Republican Senator Lindsey Graham told Fox News on Tuesdaythat he also intends to take a DNA test to see if he can “beat” Ms Warren’s results. “I’ve been told that my grandmother was part Cherokee Indian. It may all be just talk, but you’re gonna find out in a couple of weeks,” he said. Cherokee writer and genealogy researcher Twila Barnes said on her blog that “Warren has done more harm with this DNA test than she ever did with her false claim of being Cherokee”. She called the DNA test “a political attack on tribal sovereignty”. University of Alberta professor and author Kim Tallbear said that Ms Warren is using a “settler-colonial definition of who is Indigenous”. “She and much of the US American public privilege the voices of (mostly white) genome scientists and implicitly cede to them the power to define Indigenous identity. “As scholars of race have shown, it is one of the privilege of whiteness to define and control everyone else’s identity,” she wrote. However, Deb Haaland, a Native American woman running for Congress in New Mexico, welcomed Ms Warren’s genetic test, saying it “confirms the family history she has long shared with the world, and I acknowledge her Native ancestry as testament to who we are as Americans”. 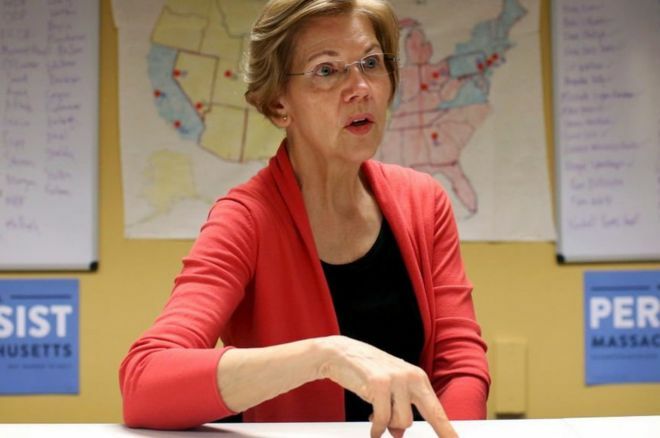 “The revelation of Senator Warren’s Native American ancestry is significant for her personally, and I join her in celebrating her ancestry,” tweeted Ms Haaland, a member of the Pueblo of Laguna Tribe.